Fron Cottage, originally two dwellings which have been transformed into one spacious holiday home sleeping 6 people, stands at bottom of a short track over looking farmland and a stream. Historically, it was also known as ‘March Melin’ (mill of the stallion), as there was a water-powered woolen mill on the site until around 1840. The cottage is close to the Elan Valley and within a mile of the market town of Rhayader. Through every window you are able to look out onto countryside, especially through the large windows in the Sun Room where the variable Welsh weather can be watched from the comfort of a leather sofa. French doors open out onto a large patio with evening views of the sun setting behind the hills of the Cambrian Mountains. 1 King size zip-and-link (which can be made into twins on request) with en-suite WC. This bedroom is accessed by separate stairs. A cosy Sitting Room with log fired wood burner, TV and DVD/BluRay Player. A Sun Room, Dining Room and Kitchen with electric oven and induction hob, microwave, dishwasher, fridge/freezer and washer/dryer, as well a spacious downstairs Wet Room. The cottage is heated by underfloor heating downstairs and radiators upstairs from a bio-mass boiler. The cottage sits in about half an acre of garden, with an enclosed patio with table and chairs and BBQ. At the rear of the Sun Room there also is smaller area with table and chairs. Bed linen, towels, electric, heating and WiFi are included, together with a starter pack of wood for the wood burner. A supply of logs are available for a small charge. We welcome well behaved pets, as the area offers excellent walking opportunities with or without a canine friend. As there are sheep and cattle in the adjacent fields, it is wise to check when booking if you are planning on bringing a dog with you. There is open access to the stream from the garden. something you may want to consider if coming with young children. Rhayader has a good range of independent shops with a butcher, greengrocer, and deli where you can get fresh bread. There are several pubs and places to eat and all are within walking distance. If you don’t fancy walking then the local taxi can safe you taking a car. We prefer to changeover on Friday and welcome short breaks, especially way from the peak holiday periods. Prices range from £535 – £1170 with short breaks ranging from 90% for 4 nights and 80% for 3 nights. 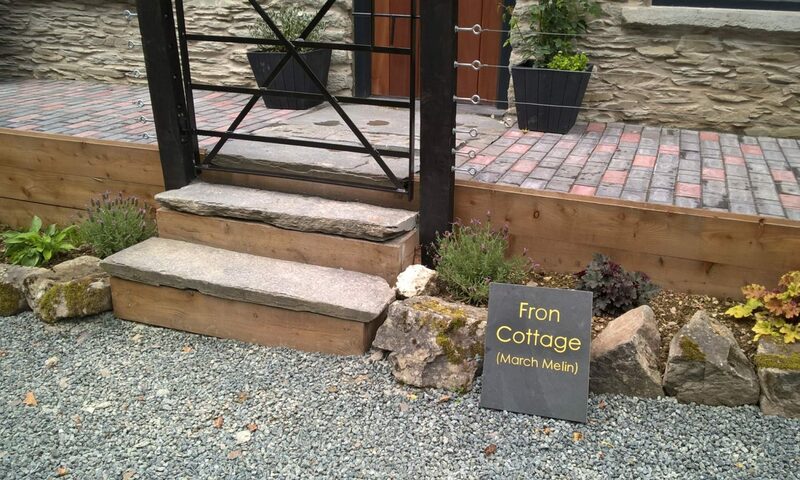 Fron Cottage bookings are managed by holidaycottages.co.uk, where it is known as March Melin.